Unexpectedly, the moment of opportunity comes to us--the prospect of entering a reality larger than we'd guess. A spacious option opens up before us, an urgent demand that seems to call for special enterprise, life-threatening perils or summons to action. Suddenly we realize that such a chance might never come again. What do you do when faced with such a moment? Luci Shaw has learned to act with discernment in regard to motivation and calling. She has discovered a path of deep joy and fulfillment by risking the unknown in partnership with God. 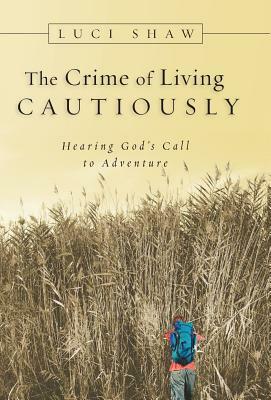 She writes about how to live fully in freedom and faith, responding to God's calling without fear.